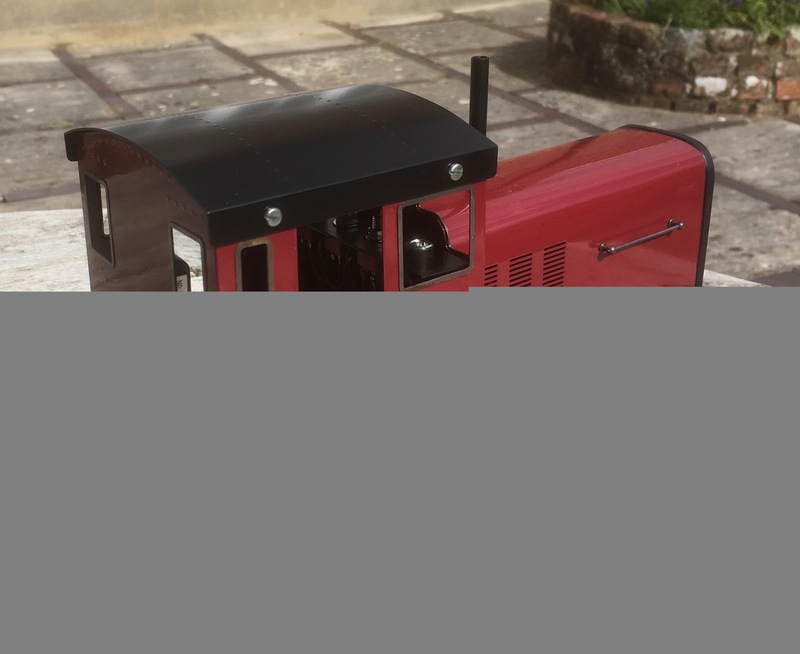 With its rugged good looks, this is a loco for all diesel enthusiasts . Even for the committed steam operator there are occasions when time is short, you just don't want to fire up a steam loco, you need to rescue a 'failed' steam loco (*see the video below) or you have young visitors who can have their own 'hands-on' experience. Salem is ideal for all these situations. Heavier weight 'industrial' buffer beams for Salem. 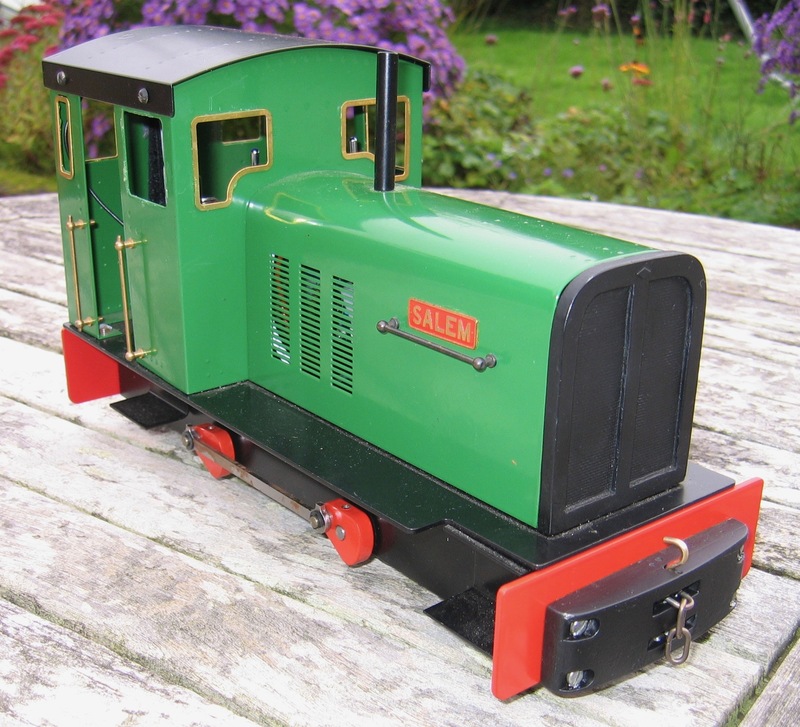 These cast buffer beams give Salem an even more purposeful look and add another 250g or so of weight - always useful. 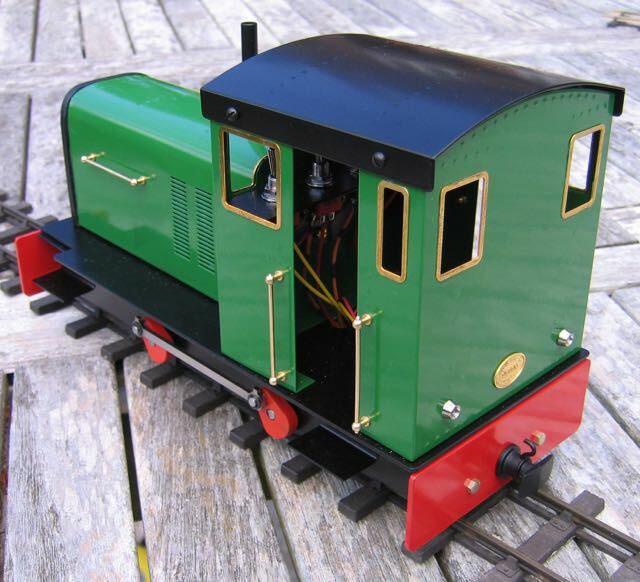 They are compatible in height with both standard centre buffer and multi-height couplings so will suit almost any stock that is likely to be put behind Salem. NEW! Optional alternative colours for Salem. Standard Salems are powder coated for toughness. 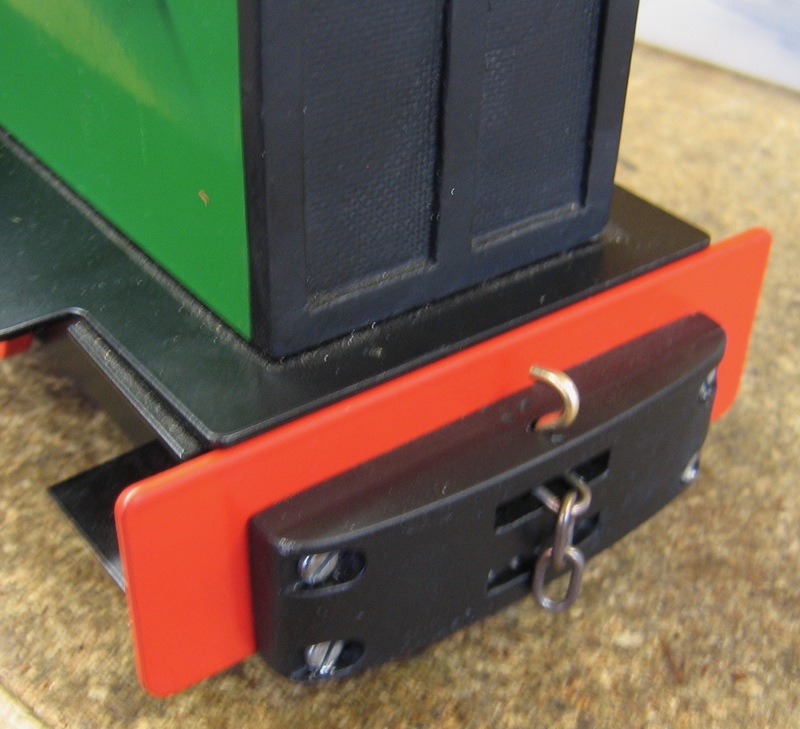 This is only practical when a large batch is done so standard colours are green or maroon. 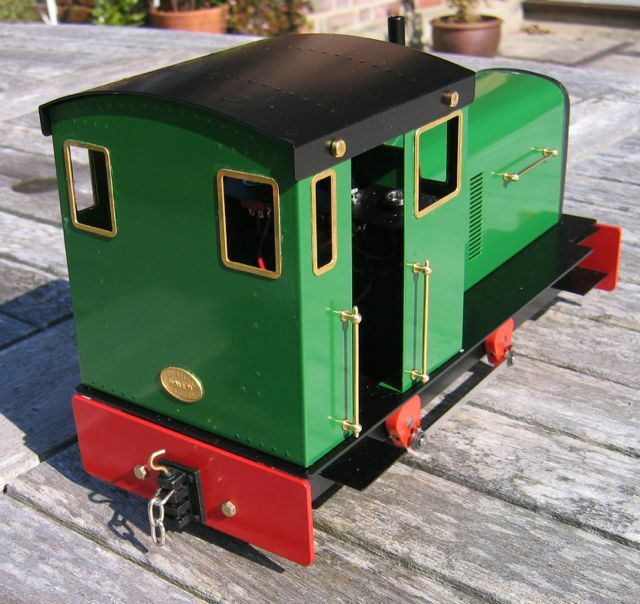 However, I have kept aside a number of unpainted Salem bodies which can be painted any colour, either by me or by the customer. This provides a good finish but perhaps not as tough as powder coating. In conjunction with Mike Ousby, Acme Model Engineering, I can now offer a realistic horn sound card. 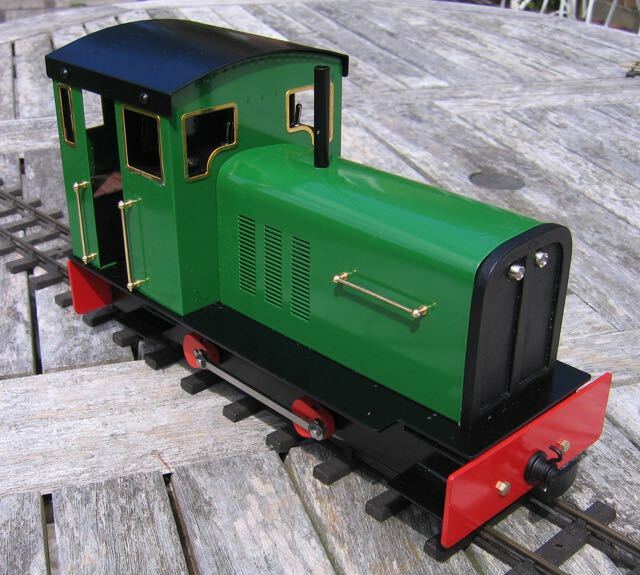 The sound has been recorded from a loco at the Leighton Buzzard Railway so is authentic. Unfortunately, due to the production process this cannot be added to an Acme deisel sound card so the horn sound card has to be installed in addition. This works really well with the Timpdon control system. I can now offer Fosworks Omni-2 radio control as an excellent alternative to the basic sysyem. This 2.4gHz system is designed by Steve Foster. 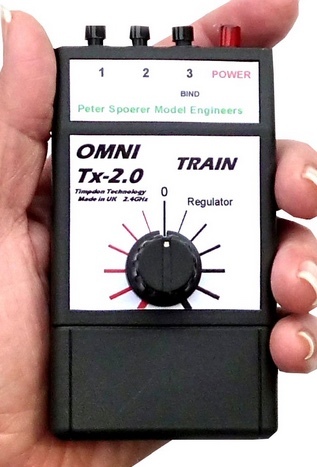 The hand-sized transmitter features a centre-off speed control knob and three auxilliary switches which can be set to be momentary or locking operation. The standard system is still fine (but may differ in appearance from the one shown). It features a much larger two-joystick transmitter, a receiver and the well-known MTroniks Viper speed control. Speed and direction are set up on Channel 2, the right hand joystick. The two transmitters are shown to the right. 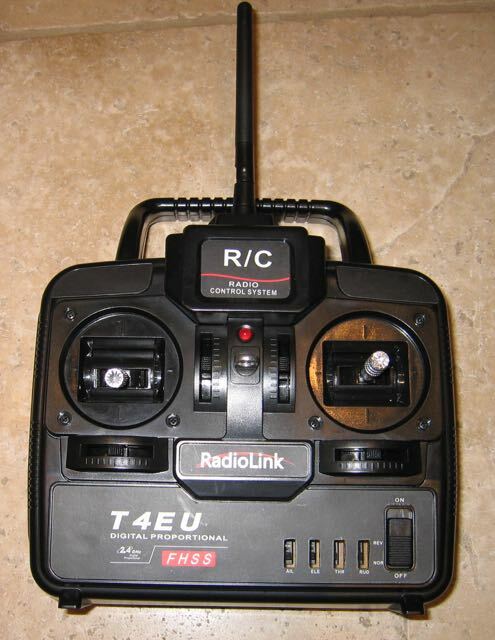 The standard Radio Link system (on the left) is included in the basic price. 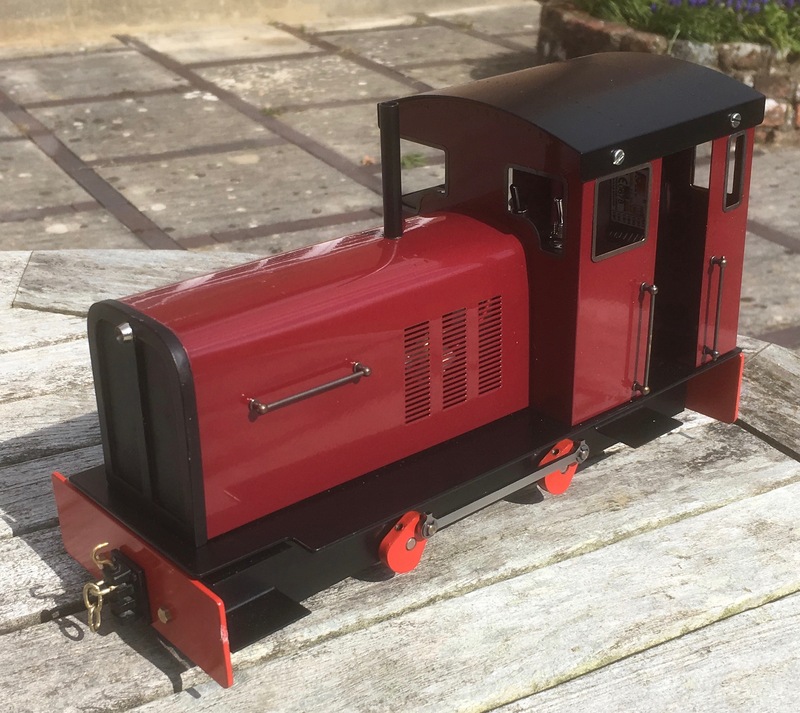 This video, taken on October 3rd 2014, shows the first production Salem fitted with an Acme sound card rescuing a stranded Swanage Models Lilla locomtive. Don't worry, the Lilla had merely run out of gas - but it always seems to happen at the furthest point of the railway. As you will see, Salem made short work of it. It's a real 'work horse'. The video was taken on my iPad mini so is a little less sophisticated than Chris' videos. 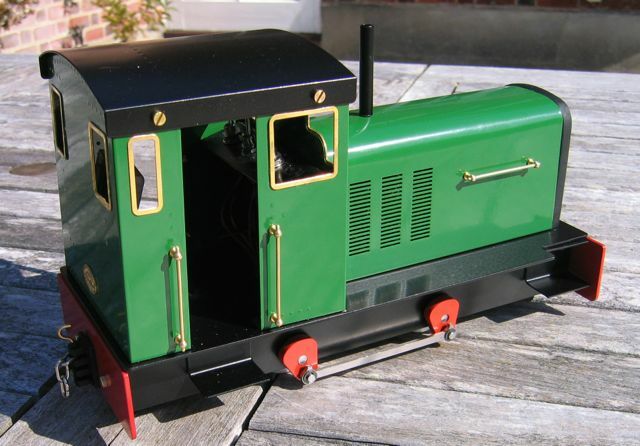 This video was taken on Chris Bird's Summerlands Light railway and features a Salem with the optional MyLocoSound sound card. My thanks to Chris Bird for this video. 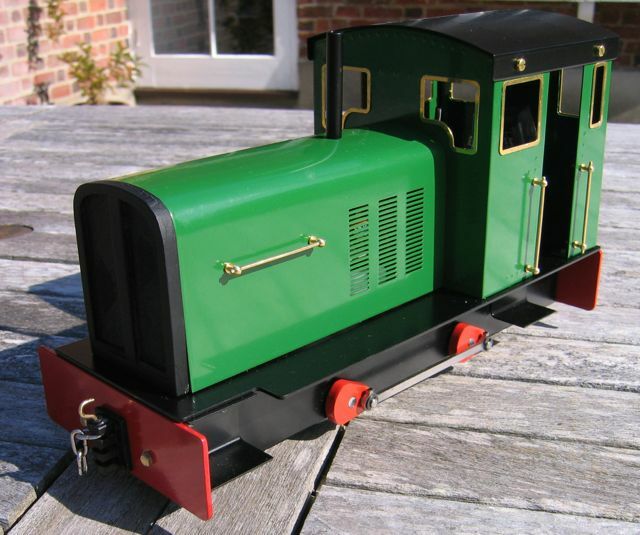 Here we see the development prototype Salem, still in unpainted brass, pulling a seriously substantial load. It was made to work! 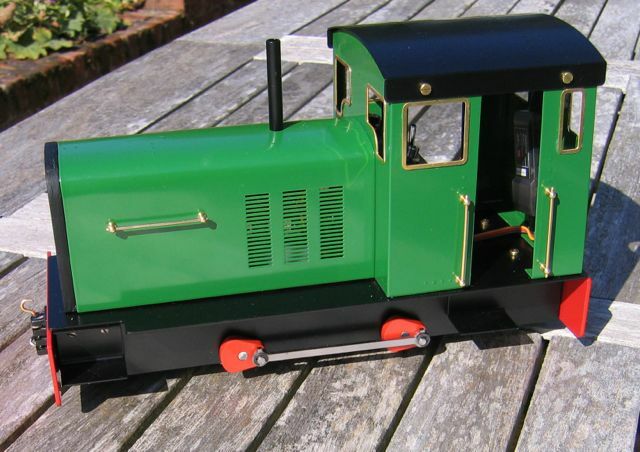 My thanks to Chris Bird of Summerlands Chuffers for his excellent videos. Details on the Pilgrim development are now on Pilgrim's own page. Development has been very slow, I'm afraid.